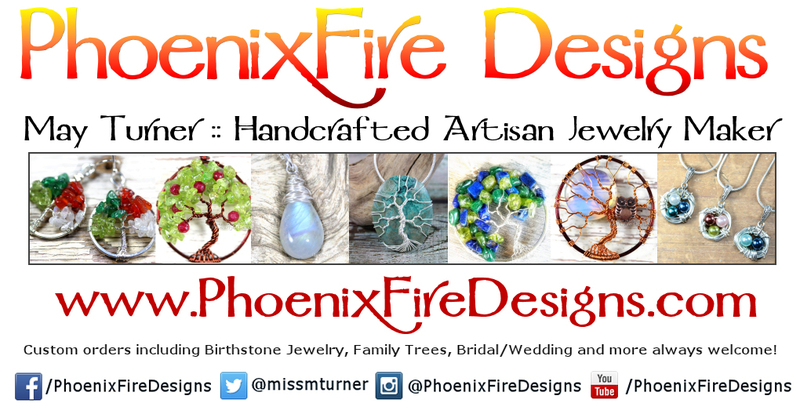 Welcome to the PhoenixFireDesigns.com website and blog! We are a small business dedicated to beautiful, high-quality, custom jewelry and other accessories. With years of satisfied customers literally all around the globe, we look forward to providing you a wonderful experience. We have a lovely selection of beautiful handmade jewelry! Our signature piece is the Tree of Life pendant made from genuine gemstone(s). We can even customize and personalize a pendant for you into a Family Tree using birthstones of children, grandchildren or other family members! In addition, we make customizable bird nest pendants, earrings, bridal necklaces, chain maille items and more! We gladly customize and are happy to work with you to create something unique and special. 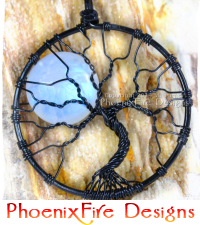 Currently available and ready-to-ship items can be found in the PhoenixFire Designs Etsy Shop or on our PhoenixFire Designs Handmade @ Amazon Storefront. 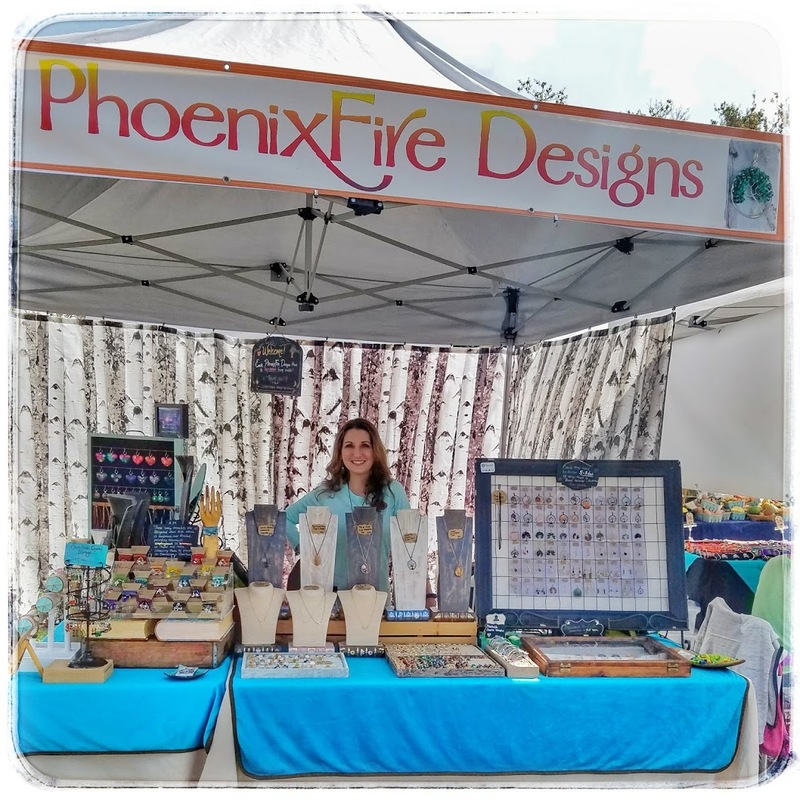 PhoenixFire Designs also shows at numerous festivals, markets, and fairs throughout the greater Tampa Bay Area including Dunedin, Seminole Heights, St. Petersburg, Clearwater, Hyde Park, and more so you can shop us in person as well. Check out our Blog, News, & Updates page for where and when to find us! There are even show exclusive items so it’s well worth coming to see us in person if you’re in the area! Should you have any questions or comments, or if you’re interested in a custom order, please don’t hesitate to contact us! We love to hear from our customers. Thank you for your visit and enjoy your stay here at PhoenixFire Designs!